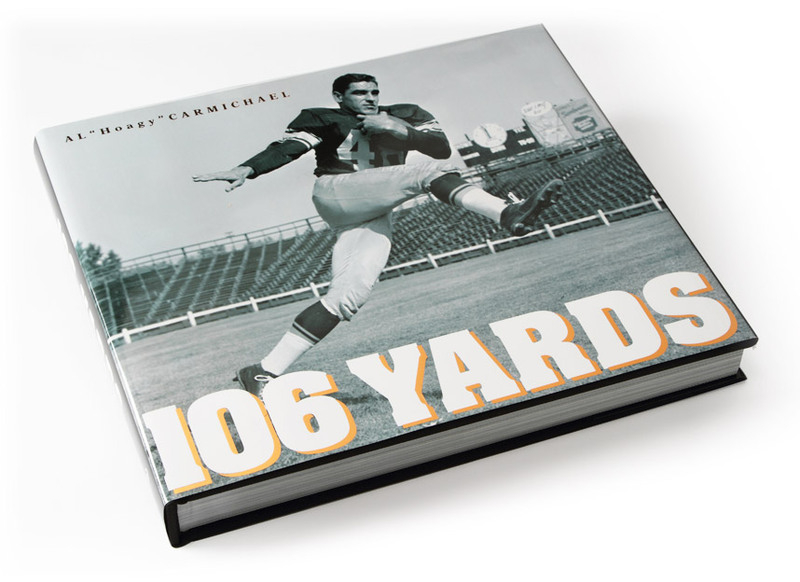 106 Yards Book, Featuring Al Carmichael. This is a over-sized hard cover coffee table book featuring the life story of Green Bay Packer start Al Carmichael who held the NFL record for the longest kick-off return for 106 Yards. The story features Al’s days in at USC where he caught the game winning touchdown catch in the Rose Bowl, to his days in the NFL and his career as a Hollywood actor. The book was offered in a limited edition hard bound book signed by Al, a limited edition leather bound book signed by Al and a hard bound book available for purchase on Amazon.com and in all the major book stores including Borders.